If your mobile home has a damaged or leaky roof, you may be vacillating between repairing it or just having it patched. All Weather Roofing, Inc. is your Glades County mobile home roofing specialist, and we offer a variety of solutions. We specialize in all aspects of mobile home roofing, including roof overs and repairs. If your roof isn’t seriously damaged (minor leaks that don’t result in puddles), you may be able to just have it patched and get a few more years of useful life. If, however, your Glades County mobile home has to have a roof over, All Weather Roofing, Inc. is the most trusted roofing company in the Tampa Bay area. Remember that patching is just a short-term solution. Eventually, that leaky roof will have to be replaced. If you’re not prepared to deal with full replacement right away, that’s fine, but remember that any leaking is an indication that things are starting to go wrong, and structural damage to your mobile home could occur as a result. Eventually you will need to hire of a Glades County mobile home roof repair specialist like All Weather Roofing, Inc.
Of course if your roof is catastrophically damaged, replacement is your only choice. For damage that’s less significant, first you’ll need to find out where the roof is leaking – it could be occurring in more than one area. Minor leaking can be corrected using a special compound that will work to prevent additional damage in the short term. You might be pleasantly surprised, though, to learn how cost-effectively you can provide your Glades County mobile home with a roof over. All Weather Roofing, Inc. can provide you with TPO (thermoplastic poly olefin) roofing that is perfect for mobile home roofs. It’s available in the Stony Ridge or Sierra Vista shingle pattern as well as the classic Non-Pattern White, which is still the preferred choice for many Glades County mobile home roof overs. Whichever option you choose, you’ll benefit from a lifetime transferable warranty. You’ll also notice a significant reduction in your AC costs (usually around 30%), because the roofing material has a natural cooling effect. You can also reasonably expect decades of superior, leak-free service. At All Weather Roofing, Inc., we have three decades of experience in Glades County mobile home roofing solutions. Since starting up, we’ve grown a lot, and yet we’ve always remained family owned. Our reputation is that we are the best mobile home roofing company in all of the Tampa Bay area. Our customer reviews back up that claim. We also enjoy an A+ Better Business Bureau rating, and we are members in good standing of the Better Business Council. 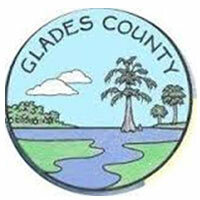 If your Glades County mobile home has to have roof repairs, we’ll send one of our trusted representatives to conduct a free video examination and identify exactly what areas are causing problems. Then we’ll provide you with an assessment of what will be needed. We’ll never sell you anything that you don’t need – that’s why we document the damage on video, so you can see it and then work with us to decide what option is best for you. Once we’ve settled on whether to repair or replace, we can get the job done for you in just a few days. Request a free mobile home repair estimate, or call us now at 1-800-297-3758. Our customer service team is there for you 24/7 to answer your questions and arrange for your free video inspection.